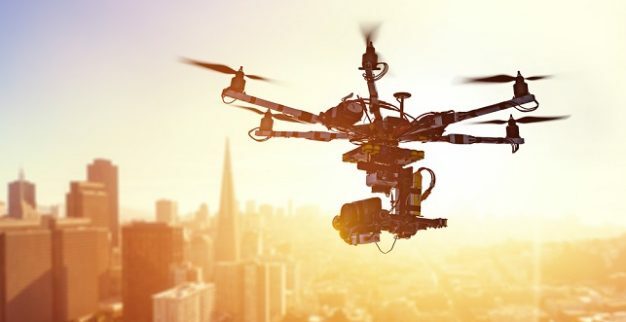 LakeDiamond, a Swiss-based company that grows ultra pure diamonds and transforms them for high-tech applications, is currently developing a system that could revolutionize the use of civilian drones. According to a story in phys.org, the Swiss company is testing the use of small lab-grown diamond in recharging drones mid-flight through a laser beam. The laser beam, guided by a tracking system, can recharge photovoltaic cells on the drones’ surface. Recently, LakeDiamond’s project was included among ten projects supported for two years by the Swiss Space Office. Currently, batteries of drones – especially propeller drones – can keep the drones in flight for up to 15 minutes at a time. Using a high-power laser that cannot damage human skin or eyes, LakeDiamond’s technology is built around lab-grown diamonds used as as the optical component on a booster, which is also composed of reflective material and a small metal plate to absorb the heat. According to the pice, “the diamonds are able to transfer heat to a small metal plate that dissipates it, while at the same time reflecting light in such a way as to create a laser beam”. The new diamond-based system could have other potential applications, such as charging and transmitting data to satellites. Although the future for LakeDiamond’s project looks bright, its remote recharging system works in the lab “but will require further development and refinement before it’s ready for field use”. The company also has to work out how to recharge large drones, and how to deal with some expected problems – such as the drone flying behind an obstacle and being cut off from its laser energy source.